TENT presents the solo exhibition Radiant by artist Nicky Assmann (1980, lives and works in Rotterdam). A majestically moving light installation, which occupies the entire front room, will form centre stage. 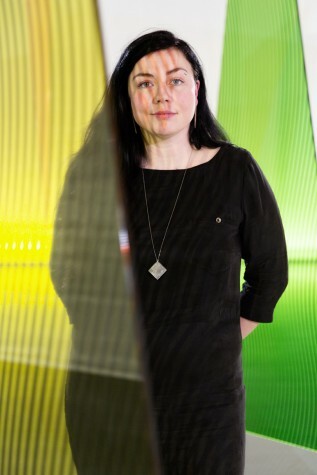 Assmann combines her knowledge of science, technology and art in spatial installations in which the sensory experience plays the main role. Nicky Assmann utilizes light, mechanics and abstract geometry to create optical phenomena with which she examines the mental and physical perception procedure. Against the background of our visual culture, in which the experience of reality increasingly takes place in the virtual domain, she returns to the corporal fundaments of seeing. 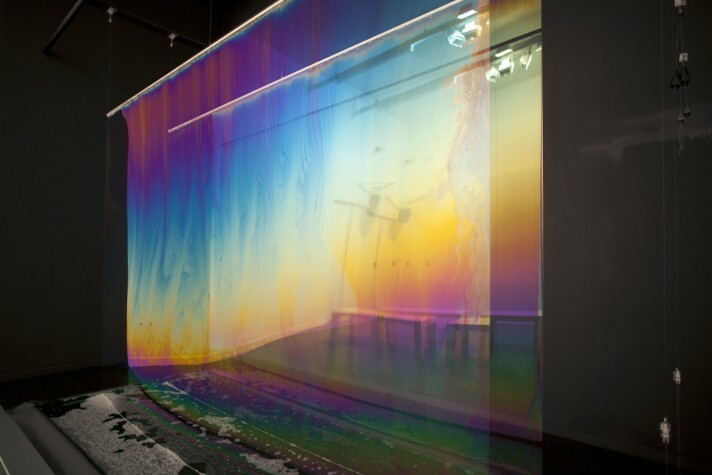 In her artistic research, she combines topical technological developments with elementary physical processes. The exhibition presents a number of room-filling works. 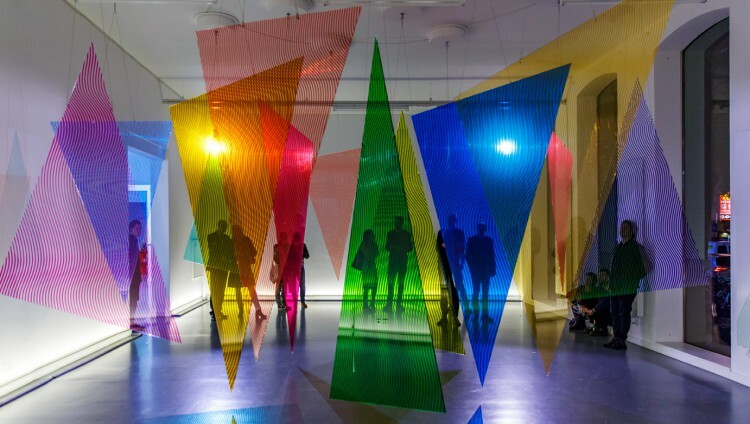 Radiant is a dynamic ‘mobile’ sculpture in which optical patterns and colour effects appear, due to a precise balance between space, form, movement and light. The sculpture is reminiscent of the works of twentieth century artists such as Calder, Bridget Riley and Otto Piene, artists who developed a universalistic form language with their abstract-geometrical works, in an attempt to transform and redefine art. In 2011, due to her graduation project Solace, Assmann immediately became well-known on the international art stage. 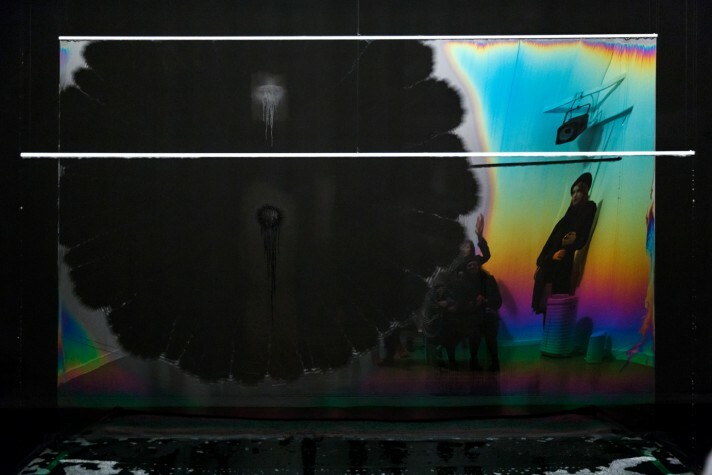 In this cinematographic installation, an enormous film of soap liquid is elevated and lit in such a way that a turbulent choreography of light, colour and flowing movements is created, which subsequently bursts and disappears. In her works, Assmann frequently experiments with the properties, behaviour and aesthetics of materials in physical processes. Thepreview of the film work Liquid Solid (in collaboration with Joris Strijbos) shows the registration of the freezing of soap films in the open air at a temperature of -22°C. This work is the result of experimental research in cooperation with the Kilpisjärvi Biological Station of the University of Helsinki in Finland. 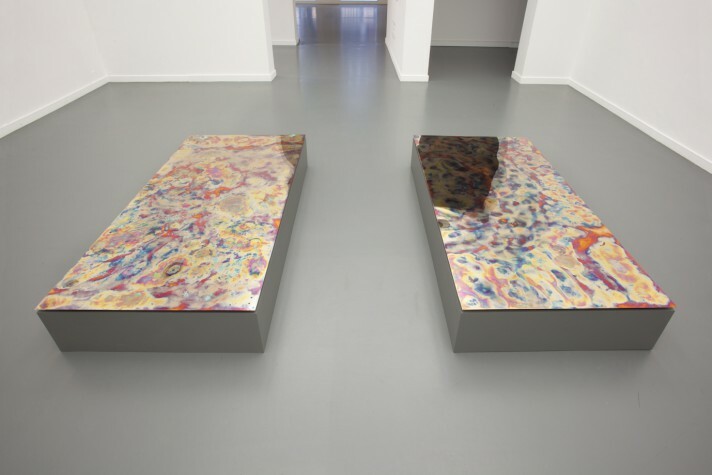 The installation Aurora (Studies) is based on a study of the oxidation process of a number of copper sheets. Assmann processes the material and in doing so she functions as a catalyst; gradually, almost invisibly, the colours and the range of colouring of the sheets change during the period of the exhibition. Nicky Assmann studied Art Science at the Interfaculty of the Royal Conservatory and the Royal Academy of Art in The Hague. She was nominated for the 2015 Prix de Rome and her work Solace gained an Honorary Mention in the 2011 StartPoint Prize. 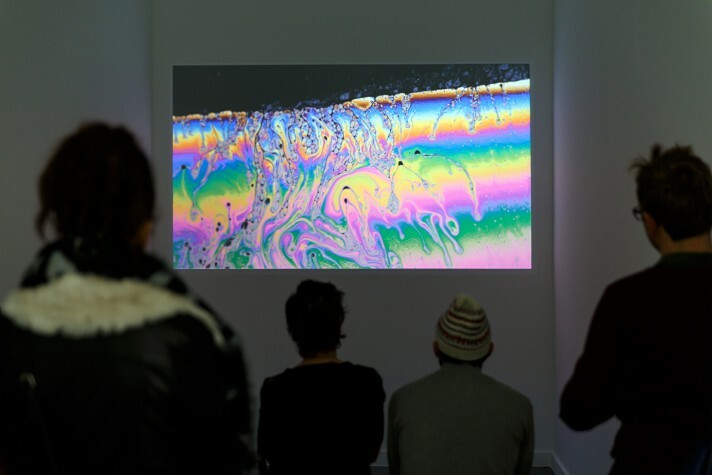 Assmann has exhibited at the Saatchi Gallery (London), National Taiwan Museum of Fine Arts (Taiwan), Wood Street Galleries (Pittsburgh), Quartier 21 (Vienna), V2_Institute for the Unstable Media (Rotterdam) and she has performed at festivals including TodaysArt and 5 Days Off. The exhibition has been made possible by a contribution from the Mondriaan Fund, Stimuleringsfonds, Fonds 21 and the Stokroos Foundation.